Misfire tells a deliberate story, and is well-shot, but I think the editing could have been better, as the pacing seemed slow for an action thriller. There are scenes that I think we could have done without and moved things along faster. The real standout here is Gary Daniels himself. Cole is a truly dark and haunted character due to all the events that occur, and Gary is able to portray this with an understated, quiet performance. The darkness of Cole can be seen in Gary’s eyes and silent moments, which works well here. I would say from an acting standpoint this is Gary’s best performance. I wish I could say the other actors help up their end of the film. While Vannessa Vazquez is serviceable as Gracie, other performances, such as Cole’s Tijuana contact Dale, is, to be nice, not so good. 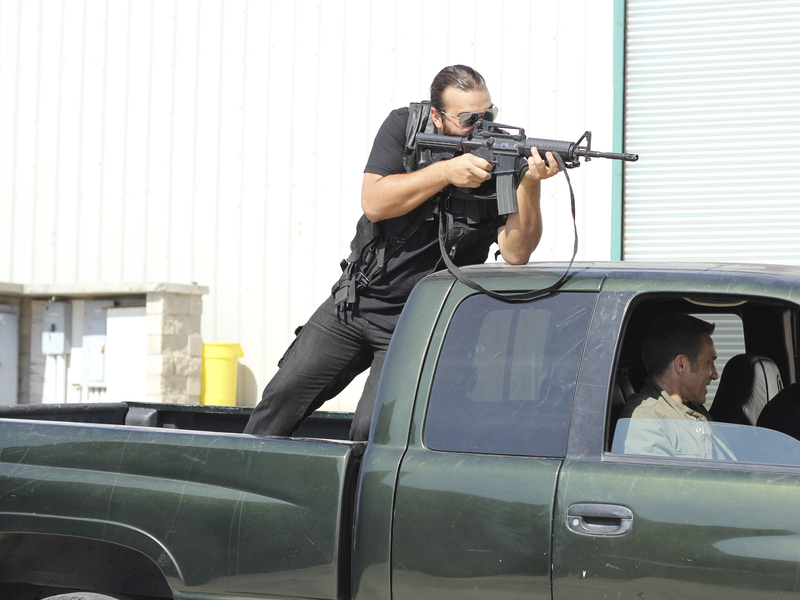 I was really disappointed at the little screen time that was given to the two mercs who work with Cole. I thought they were a good addition, but come and go too quickly to be sure. I think there was a real missed opportunity with those two. The bad guys were not particularly memorable, mostly cannon fodder. The gunplay is passable if not amazing, shot for more realism than anything else, but there are moments where there is slow motion for no reason, and the framing of the scenes could have been more dynamic. There is only, disappointingly, really one big martial arts scene, which comes toward the end of the film. Gary himself looks great, and his moves are as good as ever, but I wish there had been many more hand-to-hand fights, and at least one real opponent who knew martial arts at Gary’s level, to give him a really good end fight (Dang, I wish I could be a consultant on some of these films!). Misfire is an action thriller with a lot of pacing and acting issues, but Gary Daniels gives his best onscreen performance ever as the angst-ridden Cole, and shows he’s still one of martial arts cinema’s great badasses! Misfire will be released from Image and RLJ Entertainment on DVD and Digital Download tomorrow! Previous Next Week is Gary Daniels Week On Kiai-Kick! 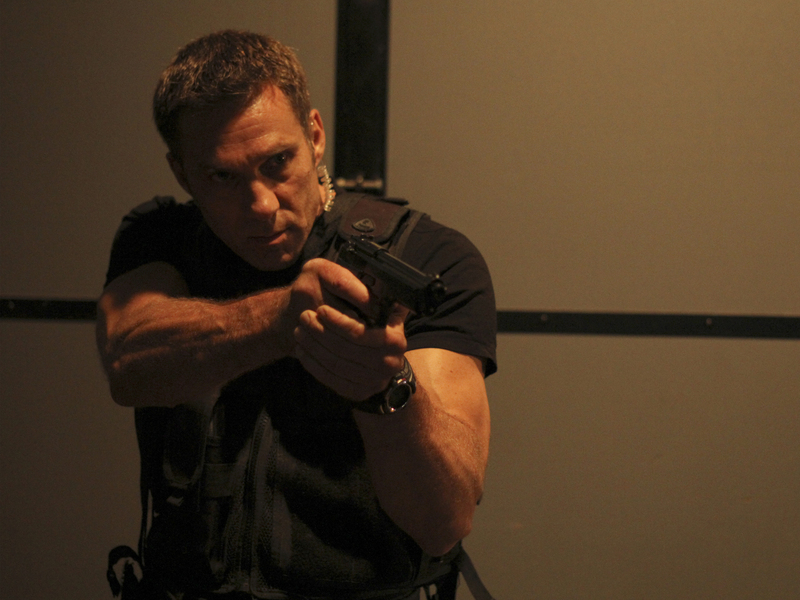 Next Kiai-Kick’s Q & A with Gary Daniels!